Often when some breakthrough in science or technology occurs, several individuals, unbeknownst to each other, simultaneously arrive at the same conclusions. For the past twenty-five years Ruth Rendely has been waiting to see if someone else would come forward with the revolutionary discoveries about the nature of souls that she first comprehended in 1989. At that time she was living in Japan, and began occasionally doing past-life readings, exploring her abilities as a psychic counselor, in addition to being a lecturer at two Tokyo universities. For some unknown reason, while she was doing these readings, a spirit guide began imparting some new information to her about human souls. He kept showing her clients who had more than one soul, and saying that it was normal. 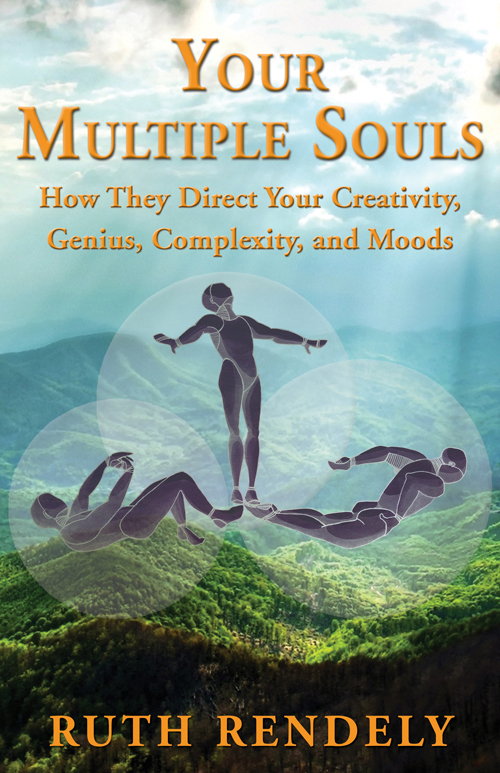 This book is the result of that exploration, which reveals why souls might want to share a body, and what happens when they do. This theory helps to explain complexity in human behavior. Complex normal behavior can mean problems in relationships and career choices; while complex deviant behavior can mean murder, mayhem and suicide. Although most of us hold a reverential feeling about the nature of the soul, in reality souls vary in levels of maturity and treat bodies on a sliding scale between respect and disrespect. Ruth has been shown instances of souls treating bodies much like teenagers going for a joy ride in a stolen car—riding for a few days, and then abandoning the car. What almost nobody realizes is that quite a few souls avoid attachment to a body before that body reaches physical maturity. When Ruth’s spirit guide first presented these theories to her, she was naturally dumbfounded, but after he trained her to practically apply them, she became convinced of their veracity. Since those early years, she has assisted souls in entering and exiting human bodies. Her talents go beyond clearing entities, or lost souls, from a person’s aura, which many adepts can do. With the help of spirit guides, Ruth has literally induced what the author Ruth Montgomery referred to as “Walk-ins”. Most individuals who have experienced these changes have felt profound relief. Ruth has stopped counting the number of suicides that she helped to prevent in utilizing this knowledge and procedures. In the more than 6,000 years of known history there has been little agreement about the nature of the soul. In attempting to define the soul, most widely miss the mark. Materialists confuse the soul with matter, wishing to place the soul in some part of the body, usually the brain. Spiritualists confuse the soul with God, eliminating the soul as a separate entity altogether. In Western history the ancient Greeks initiated this confusion when Plato, Socrates and Pythagoras agreed that the soul (psyche) was immortal and distinct from the body, while Aristotle placed the soul firmly in the body. Although the Platonists generally agreed upon the immortality of the soul, they still spent much of their time discussing its corporeal seat in the body. Christianity adopted the Platonic mind-body dualism with its emphasis on an immortal soul, but less on principle and more on a practical need to console adherents who were concerned about survival after death. As I wrote elsewhere the Church constrained discussion of the “soul” during the many centuries of its hegemony in Europe. These bodies are known to have an end; the dweller in the body is eternal, imperishable, infinite. Therefore, O Bharata, fight! He is never born, nor does he ever die; nor once having been, does he cease to be. Unborn, eternal, everlasting, ancient, he is not slain when the body is slain. This conception breaks the ties with materiality via a negative path. The soul is not the body, not the mind, not the ego, not the heart. By following this path, all becomes the one, eternal Brahman, or Godhead. Rather than being many souls, there is only one soul. Although unity is appealing, the problem with this conception is that it may describe the universe initiating out of God, but it fails to describe the diversity that God chose to create, or what some have called the play (lila in Sanskrit) of God as it exists in our reality. Coming back to our Western roots, since 1600 with the ascendancy of scientific materialism, and its replacement of the Church, the subject of “soul,” became relegated to a dusty back closet. Even now this inattention prevents the development of the science of soul, for researchers have to spend time simply establishing the existence of the soul. But things are beginning to change. Many recent thinkers have seen the chink in the armor of physics because of Werner Heisenberg’s uncertainty principle, in which it appears that the “observer”—that awfully subjective aspect—is central to the outcome of experiments of advanced particle physics. Given this opportunity, some scientists and spiritualists have hurried to create new theories bridging the chasm that exists between science and religion. While science is regrouping its forces, those that have been thinking about the subject of soul have come forth to take a stand—myself included. I see the soul as an energetic envelope, separate from the body, and distinct from God. It is physically larger than the body of any sentient being. Energy implies materiality, and thus I take a middle position between those who reduce the soul to matter and those who inflate the soul to God. This energy envelope surrounds the body like a cloud, or mist, which in some points is attached to the body—indicative of more complete absorption in those locations. The materialists are partly correct when they try to place the soul inside of the body. The soul is attached to parts of the body, but which parts may vary from person to person. This localized connection may explain why particular attributes of an individual, i.e. “brilliant mind,” “beautiful heart,” may actually have their foundation in soul energy highlighting these particular areas. Furthermore, the soul likely has an interdimensional, and timeless nature that is not limited by our planetary clock, or the third dimension. Flashes of precognition and fears lingering from distant eons, and other intergalactic locales, are no doubt impinging upon our subconscious at all times.